André Isoir died today, July 20, on the day he was born in 1935. He was organist in chief at the Abbey of Saint-Germain-des-Prés in Paris from 1973, renowned far beyond France for his many recordings. He received the Grand Prix du Disque no fewer than eight times. Very sad news. Andre Isoir was one great organist. This very short video indeed shows his mastery of one great instruments of our time. In this video I believe he is playing the pipe organ of the Church of St. Jean-Baptiste of Nemours, France. This particular pipe organ was initially build in 1653 and has been modernized and restored many times. 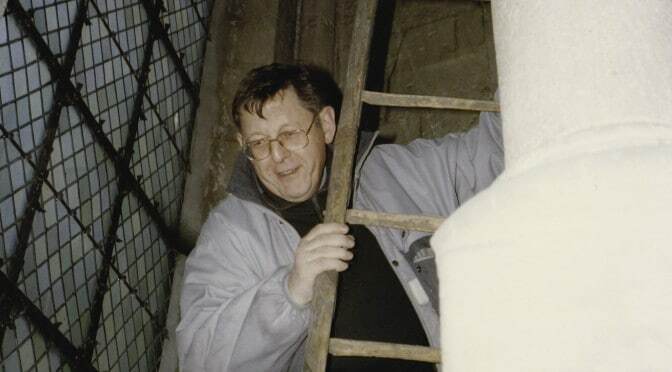 The last restoration was carried in 1988 by Yves Koenig. Fortunately Andre Isoir has left a large number of recordings before his demise. His mastery of the pipe organ was just about perfect. you from a grateful former student who loved this man so.